Pfc. Wesley Benjamin, left, from Carbondale, Ill., and Spc. 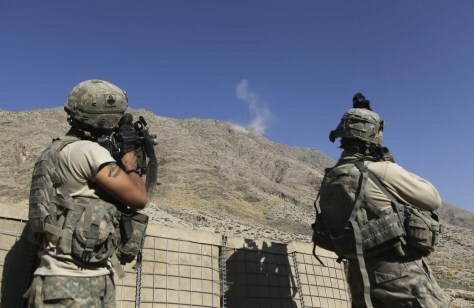 David Samerville from Yorkville, N.Y., return fire as smoke rises from Taliban positions.